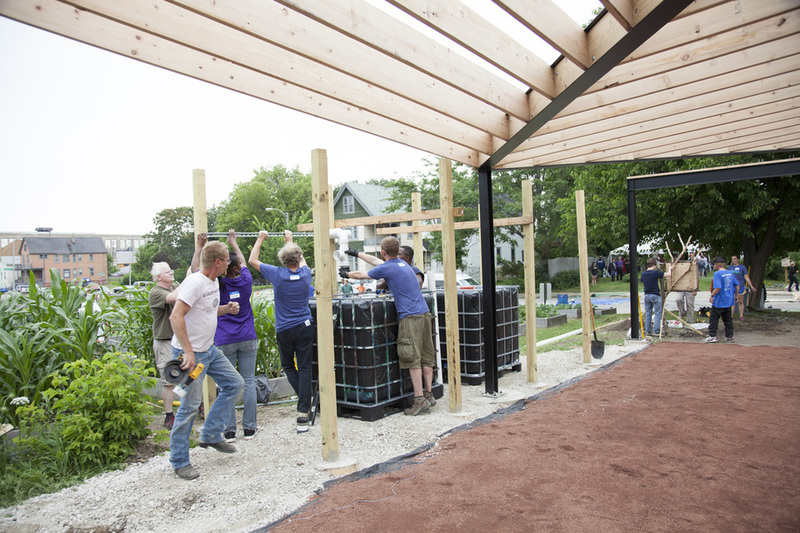 On July 25th, Reflo worked with project partners to design and build Milwaukee's first community pavilion specially designed for water harvesting. 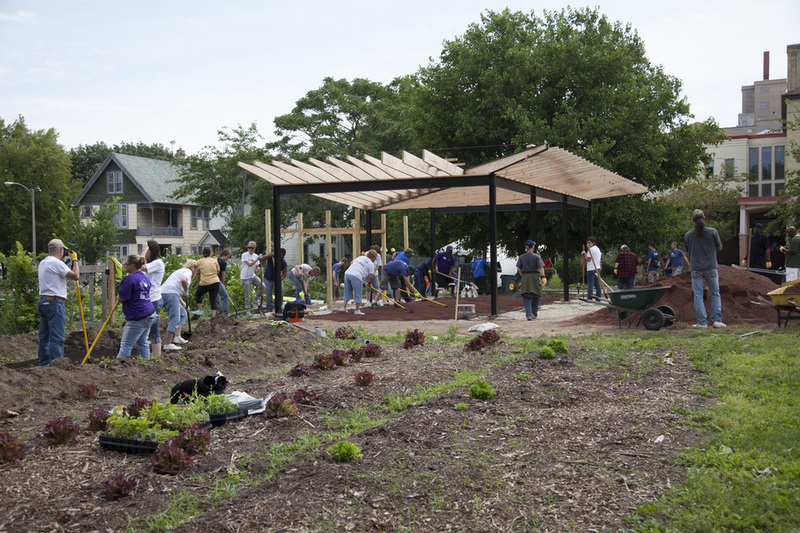 This structure, built on a previously vacant lot, funnels rainwater into a 550-gallon collection system for use in the surrounding gardens. 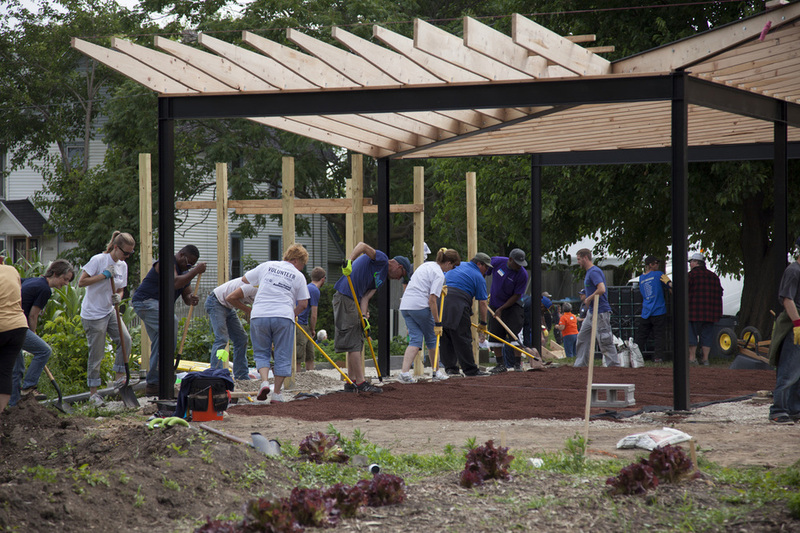 The overflow from the system runs to a 200 square foot rain garden. 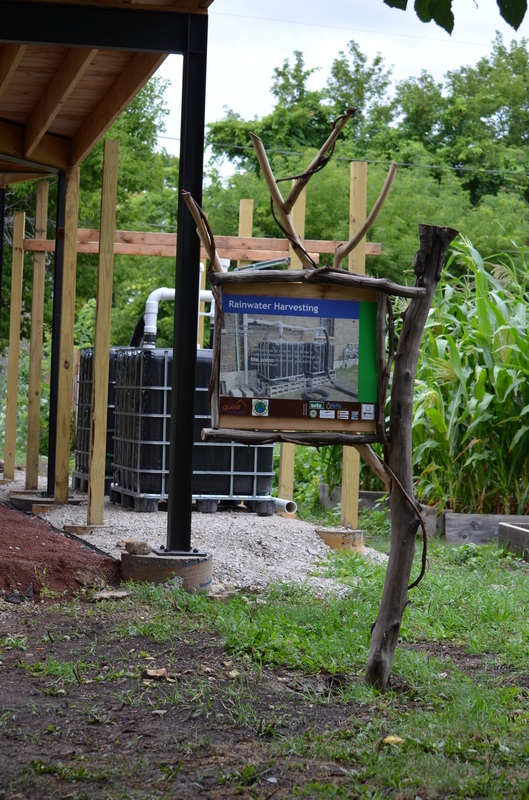 Project signs were also installed to help educate visitors about the importance of green infrastructure. 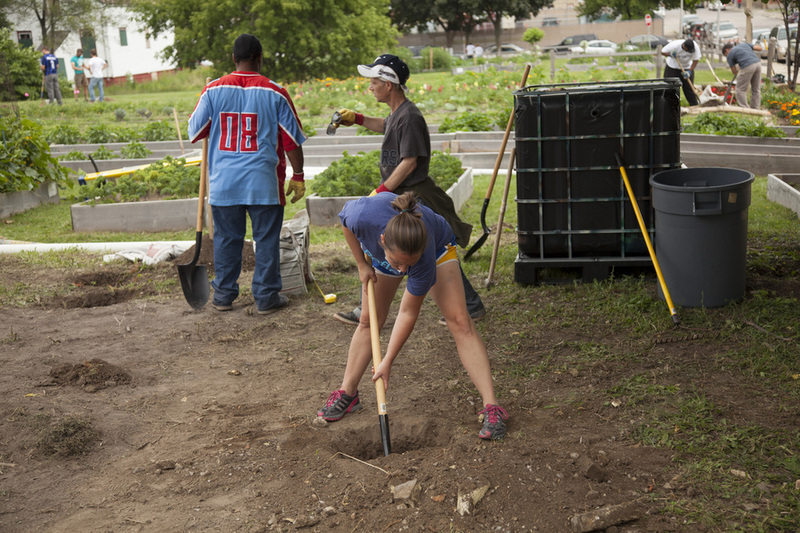 All these site features help further the programs developed by the Guest House.